Travelling with family can be tricky and requires planning and organization in order to fully enjoy the vacation. The choice of accommodation and places to stay, the destinations, and activities planned make a huge difference in the enjoyment of everyone and the overall experience. So, to ensure a memorable vacation with your little ones, we have carefully selected the ideal accommodations (based on 4pp), best places to stay among some of the Best Family Hotels in the World, suggested activities and crafted the perfect Family Vacation Itinerary! DAY 1-2: Arrival in Provence, France. Luxury resort on an outstanding estate nestled on a hill, combining the charm and character of Provence with the chic of the Côte d’Azur. This unique destination in the South of France boasts magnificent Suites and Villas set like a Provençal village, all with private terraces; four amazing restaurants, an exceptional Leading Spa, two fabulous championship Golf courses, outstanding Golf school, jaw-dropping infinity pool, tennis courts and a phenomenal kids club. Ideal accommodation: Beautiful 2 bedroom Villa Estérel, with a functional kitchen, a large terrace and a private jacuzzi for parents to enjoy while the kids are asleep! Kids Club: Terre Blanche Kids Club offers incredible facilities with an exclusive Villa for children, multiple rooms, Golf cart dedicated to children, outdoor games, private swimming pool, seasonal themed programs, creative workshops, shows, pony ride... Favorite experience is the botanical tour of the resort and the visit to the donkeys, ducks and swans! DAY 3-4: From France to Portugal. 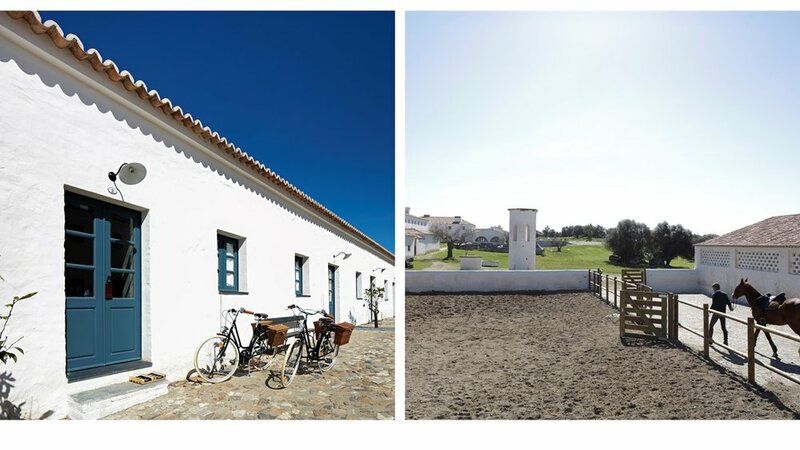 The beautiful Alentejo region in Portugal is home of São Lourenço do Barrocal, an ancient and fascinating small farming village that has been in the owning family for over 200 years… surrounded by olive groves and vineyards where excellent wine and olive oil are produced on property. The wonderful rooms and cottages, amazing restaurant 'farm to table', pool with its own restaurant and myriad of outdoor activities make this a paradise for those who want to connect with their countryside spirit. Ideal Accommodation: So charming 2 Bedroom Meadow Cottage, with fully equipped kitchen, gorgeous views towards the meadows and the natural landscape, and private outdoor terraces where you can enjoy the sunset drinking a glass of wine while you’re watching your kids climbing rocks and olive trees. Kids Playroom: Located right next door to the farm shop, there is a 818 sq. feet room filled with toys, books and films for the little ones. Different workshops and Treasure Hunt also available. Open from 10:00 am to midnight, children can play while their parents enjoy a meal at the restaurant or at the bar! Family Activities: Let the children take part in a Treasure Hunt with a treasure map and a chest filled with surprises of all kinds, and discover some of the most incredible places of our hotel and monte. Choose among different ateliers such as painting, prehistoric cooking, prehistoric pottery workshops... Take a horse ride through ancient menhir, Roman dam, vineyards, cereals fields and storks nests. 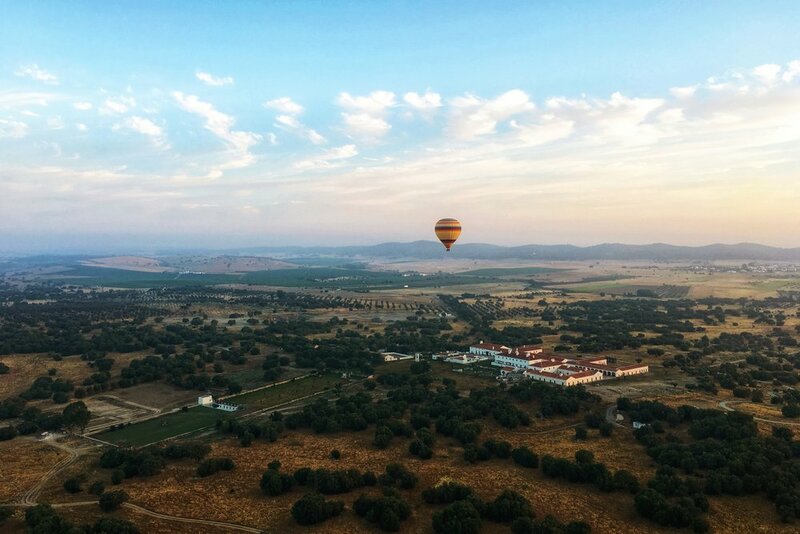 Rise over the immensity of the Alentejo landscape in a hot air balloon and fly above the monte, the hilltop village of Monsaraz, the glimmering Alqueva lake and the cattle grazing the fields. Eat: Enjoy a meal and some shopping at Mercearia Gadanha, which incorporates a high-quality grocery shop with national products, where you can find olive oil, wines, cheeses and sausages, with a typical Portuguese restaurant that has a contemporary and a casual ambience. This beautiful 60 years old garden where nothing is taller than the trees, right by the sea, with stunning Beach Club with seawater swimming pool, six stupendous restaurants, real Thalasso Spa, impressive private golf course upon the hills, exceptional kids club and fitness room, makes the Marbella Club the most emblematic beach resort in Spain. Ideal accommodation: the magnificent Julieta - 2 Bedroom Villa with swimming pool is ideal for private entertaining and families, including two spacious bedrooms, hydromassage bath, a spacious living room and a private garden and patio area with private heated pool, which the children will love! Kids Club: Phenomenal 5,000 square metre Kids Club set like a mini village hidden within the resort and offering a wide range of activities such as cookery, pottery and art, gardening, music and dancing, aroma workshops, nature experiences... let the children play! Family activities: Have fun at the beach with a various choice of trampolines, jet skis, water-sports, parasailing, karting, super jump, bumper boats, banana and pedal boats. Have a stroll on the 'paseo maritimo' to Marbella old town and enjoy some shopping and tapas! Eat: Lunch at El Altamirano for fresh fish and seafood. One of the Best local seafood restaurant in Marbella, very modest and casual terrace in the heart of Marbella old town. This historic mansion dates back to the mid-sixteenth century when it was known as the "House annexed to Palazzo Borghese” is finally reborn, after an attentive restoration, recreating a very interesting balance between history and modernity. Most of its sunny wide windows offer a breathtaking view of the private garden of Palazzo Borghese, the atmosphere of the 18 rooms, suites and Adelaide bar and restaurant, are characterized by an Art Deco yet contemporary feeling is also given by a sophisticated and original choice of décor. 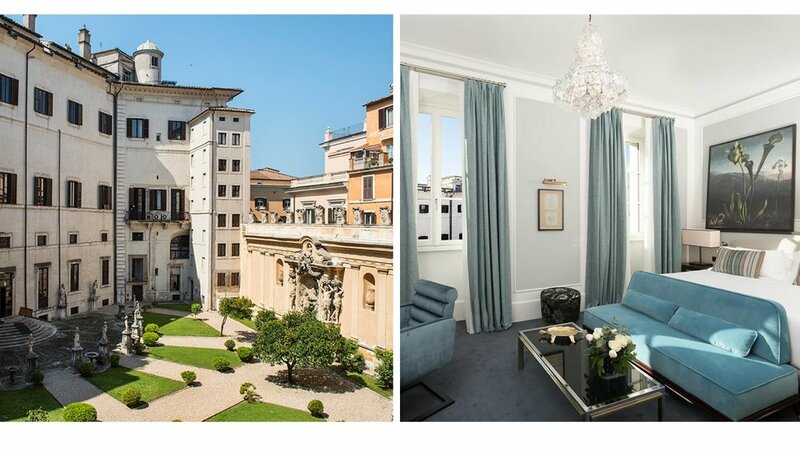 Located in the ancient heart of Rome, only a short stroll away from the Spanish Steps and the exclusive shopping district, the hotel has the perfect location to visit the eternal city! 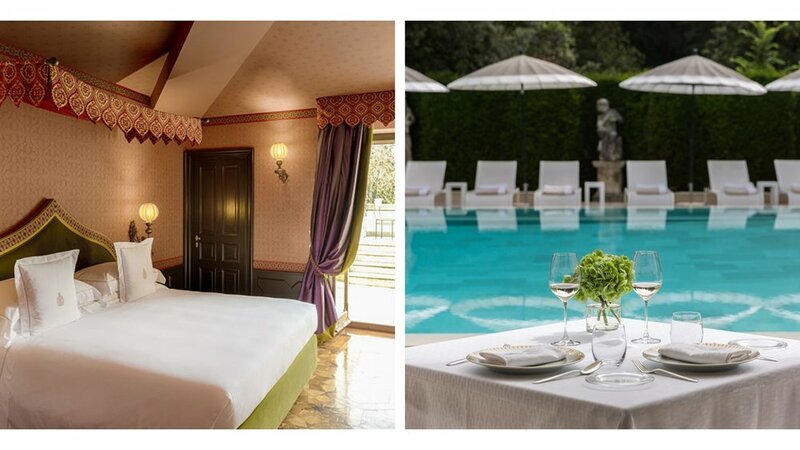 Ideal accommodation: The connecting rooms Vilòn Charming connecting to Vilon Double with King or Twin beds, sitting areas, as well as a breathtaking view over Palazzo Borghese’s quiet and private garden. 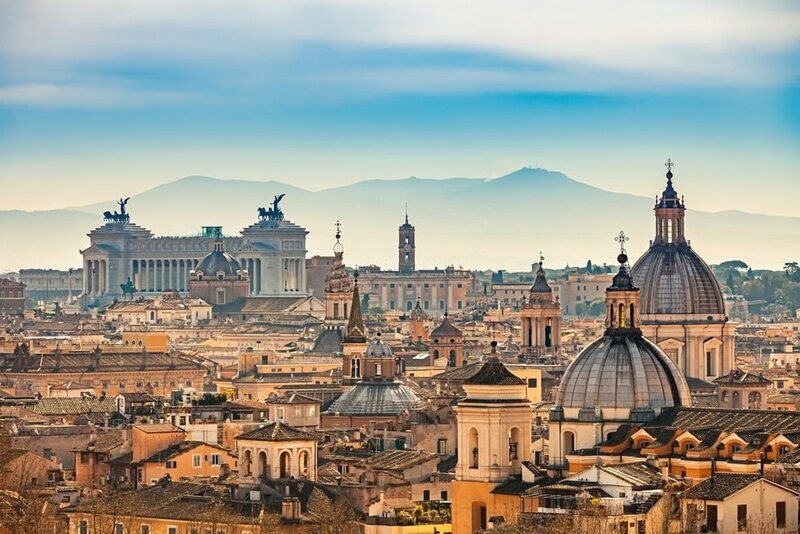 Family activities: Enjoy a leisure stroll in the most emblematic corners of Rome and visit the Spanish Steps, the Trevi Fountain, the Campo de Fiori, the Pantheon, the Colosseum… all at walking distance from the hotel. Eat: Enjoy a late lunch in the outdoor seating at the Trattoria Al Moro just steps from the famous Trevi Fountain square. Continue the journey to Florence OR Puglia, your choice! Elegant city-resort Villa Cora, situated at 5 minutes from the historical center of Florence. Featuring 45 wonderful accommodations between the main Villa, Villino and La Follie, the pool restaurant with the exterior heated pool, the gourmet restaurant in Villa, Spa, Cigar Bar and a rooftop Bar with amazing views of Florence. Villa Cora is just the perfect place to stay in this historical city, no need to look further. Ideal accommodation: Definitely the Family Room with two spacious and beautiful rooms and two bathrooms with a private balcony. For those seeking more privacy. VIB Program: Children special amenities and services are offered at the hotel for their little guests: Welcome kit, bicycle, Ipad, Concierge services...Further activities such as Hand Painting class, Cooking class, Swimming class, and Treasure Hunt also available on property! Family activities: Florence exploration! Stroll in this beautiful Renaissance city, stop at the Piazza de la Republica and take a ride on the antique Carousel, shop at Bartolucci the wooden toy workshop and store where you can find coveted Pinocchio souvenirs made for generations by the Bartolucci family. Indulge in an authentic Italian gelato at one of the city's numerous gelaterias. Enjoy a lazy afternoon at the hotel pool-bar and sip on your favorite cocktail while the children get entertained in the pool. Eat: Have lunch at Obicà Mozzarella Bar a casual and contemporary Italian restaurant and pizzeria for cheese lovers right in the heart of Florence. The endless expanse of olive groves, located along Puglia’s lush coast is where you will find Borgo Egnazia with its sophisticated rooms in La Corte, suites connected by narrow alleys in the lively Borgo designed to replicate a typical Apulian town and Three-bedroom villas with pool, complemented with five authentic and unique restaurants, eye-opening Beach Club CalaMasciola,championship course San Domenico Golf, surprising and exceptional Vair Spa, kids irresistible Trullaleri Club, two extensive outdoor swimming pools and one indoor, fascinating cooking classes…and so much more! Ideal accommodation: The spacious 3 bedroom Villa Magnifica , a three-storey limestone Mediterranean villa with full kitchen, nice dining area, two living rooms, and a private garden that allows complete privacy while taking a dive into the pool and relaxing moments in the shady patio or under the gazebo. Trullalleri Kid’s Club: Amazing kids club with fun activities for the little guests: creative labs, cooking classes, story-telling, baby dancing, face-painting, playground games, beach days and treasure hunts! Teens enjoy a club on their own as well with soccer academy, cooking classes, sports activities, dance contests, go-karting, adventure park, pool games, arts & crafts creative activities and water sports. Family activities: Take a cooking class at the resort's cooking school, using fresh products from the resort's vegetable gardens or local market. Go for a bike ride and discover the uncontaminated landscape that is rich in colors: from the crystal clear blue of the Mediterranean Sea to the green of the olive groves and rosemary, to the intense red of the magnificent sunsets. Spend the afternoon at Cala Masciola, swim in the crystal blue water or relax in one of the cabanas by the sea. Eat: Lunch at Cala Masciola's restaurant and enjoy an amazing fresh grilled fish with your favorite cocktail. Enjoy the family, enjoy the trip!